La pieve (du latin plebs « peuple ») est, en Corse, l'ancienne circonscription administrative et religieuse de base en vigueur jusqu'à la Révolution française. Basée sur des frontières naturelles faites de cimes ou de cours d'eau, elle correspond grosso-modo aux actuels cantons et demeure très souvent pour les Corses l'unité réelle de découpage régional de l’île. A Filetta’s music is a journey. It could be said that it is a polyphonic and vocal proposal which is challenging, audacious and contemporary, even though coming from a powerful oral tradition. It is in 1978 that very young people, some of them only teenagers, driven by a strong willingness to contribute to the protection of a declining oral heritage, started their journey, which has been long, sometimes sinuous but always punctuated by discoveries and wonderful encounters. A Filetta, born in the Balagne, has its roots deep in the Corsican soil and are on top ofthe art of polyphony. 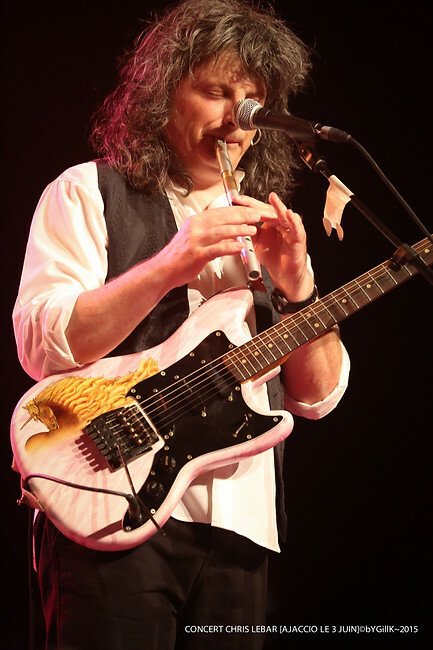 Unlimited talent, a piercing vocal sensitivity and an overwhelming emotional fervor are the trademarks of A Filetta magic. No one leaves their concerts unmoved. No wonder that the filmmaker Bruno Coulais has called on A Filetta many times to produce music for his films. Beginning with Coulais’ Don Juan, the group has interpreted the scores for his 'Himalaya', which won a Disque d'Or and a César in 2000 for the best film score, and the BO of Akhénaton’s film 'Comme un aimant and 'Le Peuple Migrateur' by Jacques Perrin. 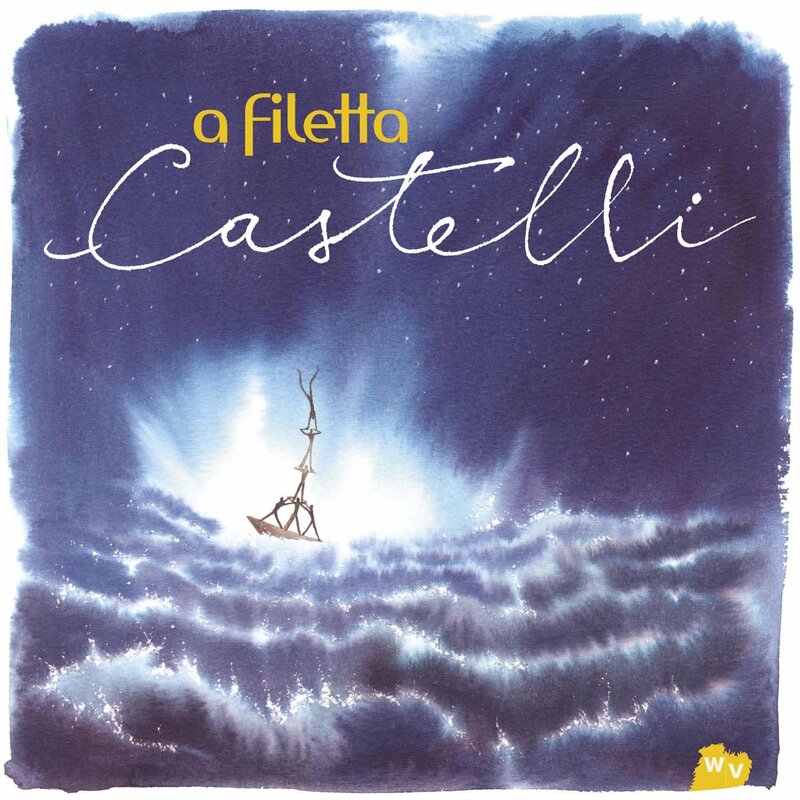 A Filetta has a powerful vocal style. For over 30 years, Jean-Claude Acquaviva’s leading Corsican Polyphonies band has been singing songs of praise to its land. No one knows the exact origin of these songs : the island’s tradition is so rich of diverse influences. These timeless voices, which sow their seeds on a track of terzetti, madrigals, liturgical chanting, paghjelle, all heavy with emotion, radiate a burning poetry just like the earth in which A Filetta burrows its roots. Their concert is the exact reflection of a journey into tradition and novelty. To ancient songs evoking spiritual or loving memories echo creative songs born out of happy or sad events. However, each encounter troubles as the first one did: A Filetta , like the fern it is named after, keeps this wild spirit that makes listening to their songs a unique experience. "Un mot non habité est un mot mort"
La rencontre avec Jean-Claude Acquaviva, elle se caractérise toujours par un entretien dense et profond. A 53 ans, l'homme vous regarde et vous parle comme il chante et se confronte avec son public. Il va au bout de ses idées, balayant la langue de bois autant que les sujets tabous. Sur le chant, la musique, la langue, l'univers social et politique, avec en guise de fil rouge, le parcours d'A Filetta. Un ensemble polyphonique, 40 ans d'un morceau de Corse en mouvement, le symbole d'une mémoire précieuse. La formation balanine édite ou plutôt réédite un CD qui était inclus dans son coffret anniversaire « Trent’anni pocu, trent’anni assai » paru en 2010. Le CD qui s’intitule « Pè a scusa » est composé de 8 chants dont 3 inédits (« A’ Sergiu » ; « Lisboa, noite triste » et « Tango dell’assenza »). 2000 - César de la meilleure musique de film pour Himalaya pendant le Festival de Cannes dans la categorie de la meilleure Musique de film. 2000 - Disque d'Or (plus de 100.000 albums vendus) pour Himalaya. 1997 - Diapason d'Or pour l'album Passione. 1997 - Le Choc du monde de la Musique pour l'album Passione. 1995 - Le Choc du monde de la Musique pour l'album Una tarra ci hè. 1995 - Grand Prix de l'académie Charles Cros pour l'album Una tarra ci hè. 1993 - Diapason d'Or pour l'album Ab Eternu. 1993 - Le Choc du monde de la Musique pour l'album Ab Eternu. Don Juan (Jacques Weber) - Himalaya l'enfance d'un chef (Eric Valli) - Comme un amant (Akhenaton, Kamel Saleh) - Le peuple migrateur (Jacques Perrin). 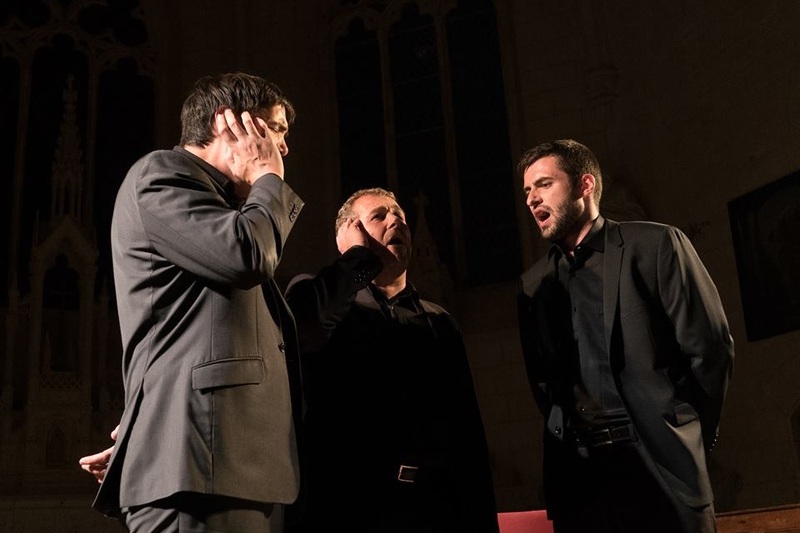 Ce concert a cappella pour six voix d’hommes, évoluant au gré des nouvelles créations, se veut être le reflet du chemin parcouru tout au long de ces années. Il recèle des oeuvres majeures de la vie du groupe, depuis le chant traditionnel corse le plus archaïque jusqu’aux créations les plus contemporaines qu’elles soient profanes ou sacrées. La rencontre entre A Filetta, Paolo Fresu, Daniele di Bonaventura. The magic of their vocal expression is like an eternal fountain of joy. "Barbara Furtuna does not fail to recall our priceless heritage - the soul of our elders and an inexhaustible source. When they sing these songs chiselled by a powerful land, their ornamented voices inflame hearts and all their vocal caresses are the thousand facets of a beautiful language." (Santu Massiani). 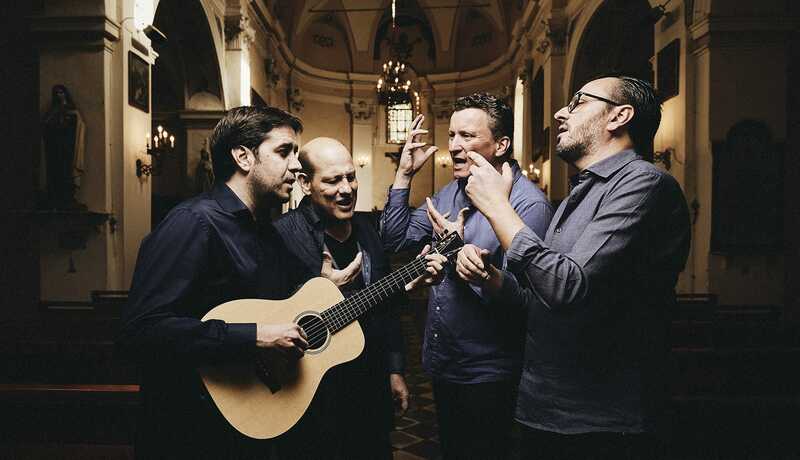 The group finds its inspiration in the island's oldest traditions, it is now also distinguished by its own creations, and offers a music that speaks to contemporary longings. The group has been performing on the international scene for the last ten years, in Europe, but also in North America and Australia. Prestigious appearances have continued to increase performing alone or in unexpected collaborations including: with the famed tenor, Placido Domingo; the baroque ensemble L'Arpeggiata; and with the Persian music ensemble, Constantinople. The quartet has shown that it transcends a single register and that traditional music still has the ability to surprise and to move us. 2018 began with a departure, that of Pierre Marchetti, who was a member of the group for 15 years. The group applauds him and wishes him well for his future projects. The group welcomes its new member: the singer and musicien Fabrice Andreani. Their Album "Rinvivisce" was released in november 2001; 16 songs with a true Corsican spirit, followed by Canta Bataclan 2005. Seule une musique "historique", jamais enregistrée jusque là en studio, devrait aussi être au rendez-vous : a Canzona di u Vinu. Mais si cet album sort, c'est avant tout pour rendre hommage. A Dumè Gallet, d'abord, disparu en 2013, dont l'influence et la voix plânent encore sur ce disque. Sébastien Lafarge : Issu d’une famille de musiciens, il chante depuis dix ans avec l’Alba, la voix de l’Alba. Eric Ferrarri : bassiste contrebassiste, riche d’un parcours européen et outre-atlantique, il se tourne vers la Balagne apportant swing et expérience. Jean-François Vega - Albertini : guitariste, chanteur, parolier, il a écrit la plupart des titres de Cilva. Benjamin Dolignon : chanteur de polyphonie, originaire de Haute-Balagne, il connait profondément le répertoire traditionnel. Cecce Guironnet : de l’électro au chant médiéval, il travaille la musique à Pigna (Casa Musicale) depuis l’enfance joue des instruments traditionnels, il a participé à une quinzaine de disques en Corse et ailleurs, le souffle de l’Alba. The groupe was born in 1992 in the Balagne. 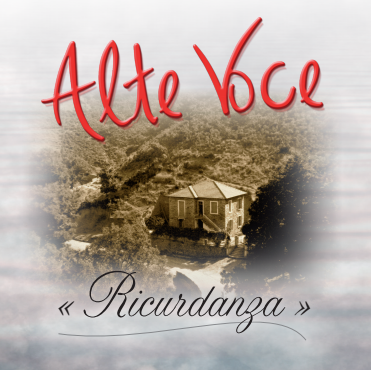 In 1999 they record their first Album "I soli ciuttati". Their second album follows in 2003, after 4 years of research and musical and instrumental progression. This album is called "CILVA". Cilva: city at the other side of the mirror; an imaginary city, but even more a universal city. A Cumpagnia is a group of singers and musicians, men and women; some of them are also instrument makers (orgue, flute or lute). Their repertoire encompasses chant sacré and profane, tradition and creation. The artists of this group have an exceptional force of friendship and affection and this is certainly being felt by their audience. 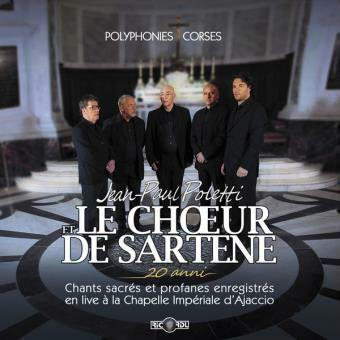 Their album "Polyphonies" includes a large variety of original songs: sacred, profane, paghjelle and madrigale. Arapà is an association (PA Associu Racolta è Pruduzzioni Artistica) consisting of singers and musicians who care about the Corsican language and culture and promoting a musical world where tradition and memory live in the dynamic sense of the term, that is to say, by interpretation, transmission and sharing. Cultivating a rich heritage, Arapà also offers its audience folk songs and their own creations, pure and without amplification. Arapà ouvre une souscription afin de financer ce projet alliant mémoire et sensibilité, histoire et conscience. Arapà est engagé depuis sa création avec A Squadra Corsa. Cette année encore, nous accompagnerons notre sélection et chanterons notre "haka" Corsica Nostra pour galvaniser notre sélection nationale. Forza a Squadra Corsa ! This ensemble polyphonique include in their programme chants polyphoniques from Sardinia, Georgie and Italy. The group l'ARCUSGI was born on Corsica in the Bastia region in 1984. L'ARCUSGI, who gives a definition of themselves as a group "politico-culturel", are committed to defend the corsican language and culture. 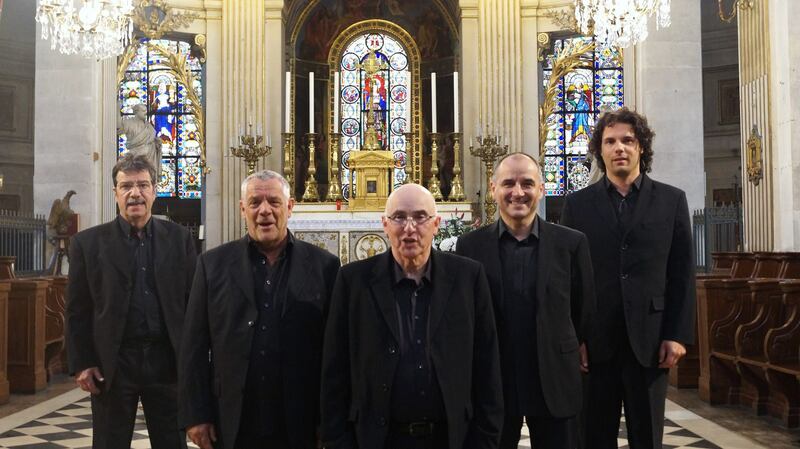 The groupe AVà Corsica is offering a true program, with the accent on Corsican polyphony. Very authentique and enriched by the tradionial chant of the island, subtly ornamented by instruments. 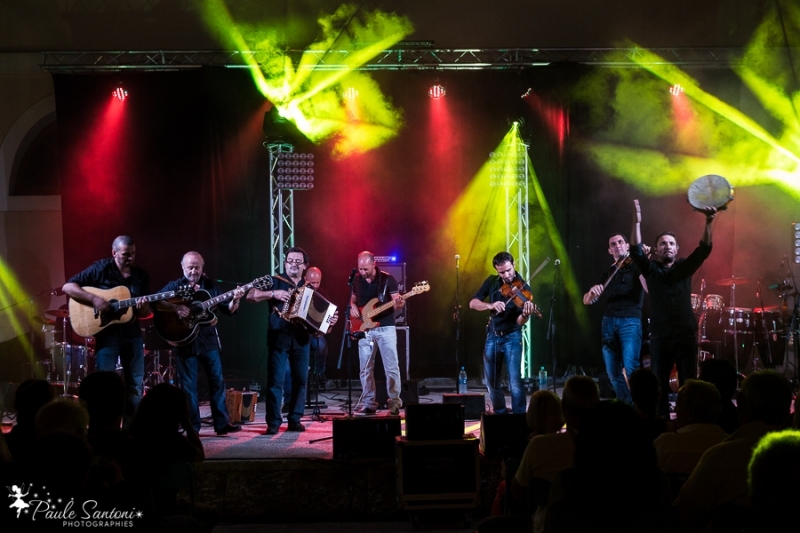 In 1984, Ghjuvan Ghjacumu and Christianu Andreani founded the research organisation E Cetera and the group Caramusa to help prevent something precious from disappearing: Corsican folk music. They spent time sharing magical moments of apprenticeship with the ‘elders’ all over their enigmatic island, collecting songs and melodies from the past, learning to play instruments whose provenance had long-been forgotten, and so they became committed defenders of an ancient Corsican tradition. Understanding the importance of the music’s pastoral origins, rooted in ancestral values and beliefs, the sound produced by Caramusa is authentic and inspired. Accomplished musicians, they guide their flutes made from animal horn and reed, their bagpipes of pelt or gourd, plus an array of other instruments with precision and spontaneity. 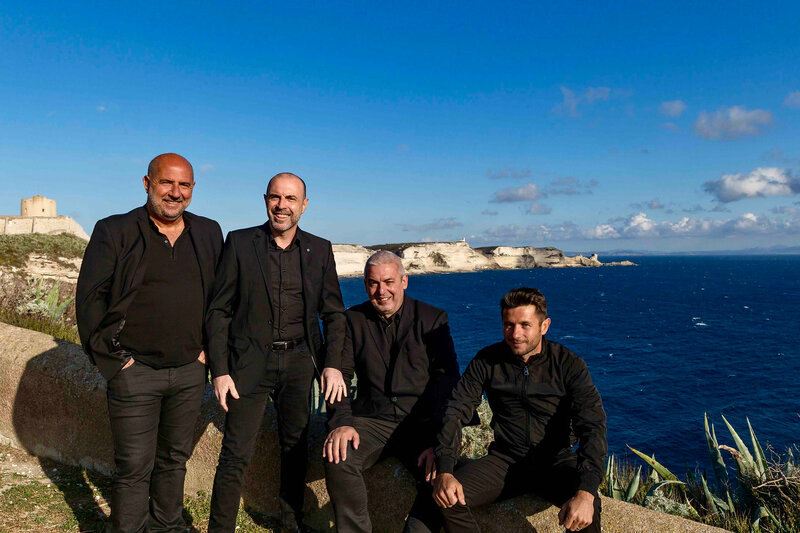 More than ever the group is loyal to their convictions: the poetry of the corsican language and the treasures of refinding the music of the island. 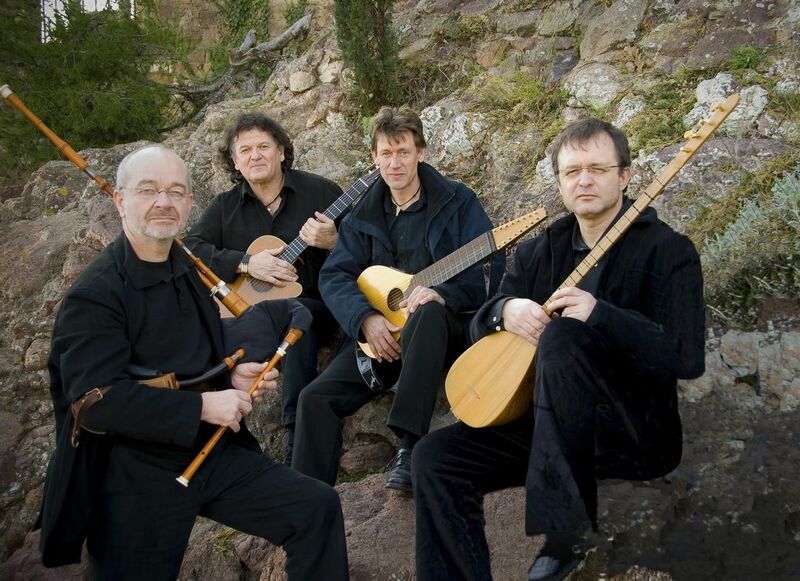 Created in 1990 this group loves to mix different forms of mediterranean music with the "chants de Corse". Their third album, released in 1996 "Taraniu" is dedicated to the Mediterranée. After numerous travels and many exchanges with other people from the Méditerranée (Espagne, Sardaigne, Albanie, Sicile, Algérie, Grèce) CINQUI SO has given a mediterranean dimension to their repertoire. 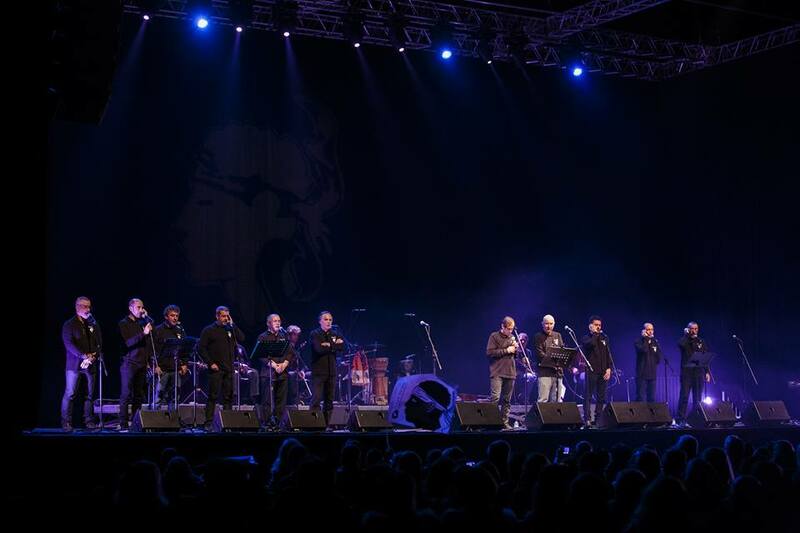 The performances of Cinqui Sò are divided between poems of oral tradition and those of contemporary poets illustrating the language of the South of the island (Rinatu Coti, Lisandru Muzy, Saveriu Valentini ...). The festive rhythms inviting to dance mingle with melodies full of nostalgia and the subtle harmonies of polyphony. These shows are the result of extensive research into sources and new musical forms that reflect a culture that wants and must remain open. Cirnese is a musical ensemble consisting of 6 singers and their musicians. 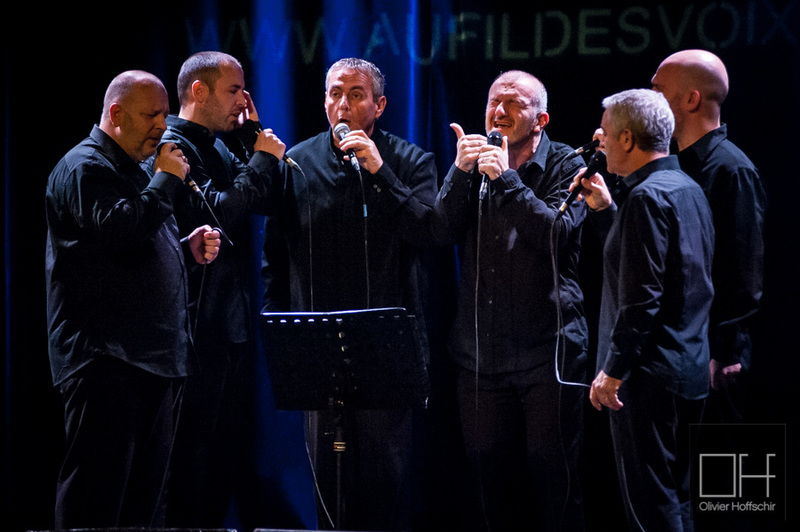 The group is distinguished by its musical color borrowed on the one hand from the traditional Corsican song and the other a modern and diversified music. Cirnese strives to combine their creations and the heritage of the island with other musical styles that travel worldwide. The group appears on the Corsican scene but also on the continent, to share its roots with the public. Il chante avec la plupart des grands noms de la musique Corse moderne, se produit dans le monde entier et a enregistré plusieurs disques au sein des groupes emblématiques de l'île. Aujourdhui il produit ses créations en soliste, chantant l'évolution de l'íle éternelle, ouverte aux autres, sans exclusion. Avec un regard global sur le devenir des peuples dont l'identité est menacée. A pieve di a Serra est une vallée parsemée de villages, une dizaine, avec un débouché sur la plaine littorale. Le village le plus élevé, Pianellu se situe à 1000 m d’altitude, sous la Punta di e Caldane qui culmine à environ 1700m. La haute vallée, a Serra, est un balcon sur la vallée de la Bravona débordant sur celle du Corsigliese, où sont localisés les villages de Zuani et d’Ampriani. Partant de Pianellu, en empruntant une route sinueuse à l’adret, on rencontrera successivement les villages de Matra, avec sa mine de réalgar, de Moita, Campi et Tocchisu, dont le nom a pour origine les pierres qui surplombent le village. Face à eux, à l’ubac, se localisent les villages de Zalana, et de Tallone. Les villages de Tallone et Tocchisu, portes de la vallée ouvrent leurs territoires sur la plaine d’Aleria, la mer Tyrrhénienne et les étangs de Diana. Corsican name meaning "Star of the Dawn". Repertoire if this group consists of traditional Corsican texts, orchastrated with violins, guitars, diatonic accordeon, mandoline, pirula, cetera, contrabasse and harmonica. Diana Saliceti wants to follow her roots on the island of her ancestors while building bridges leading her to the peripheries of the Mediterranean. This is how one finds in her voice the tunes of an Italian tarantelle, Portuguese fado or even African incantations. Nevertheless, it is from the traditional Corsican song and especially polyphonic chant that Diana draws her love for music. A great passionate of Corsican songs, her learning began in childhood with island artists who wanted to transmit their cultural heritage to the youngest. As she grew up, she learned more vocal techniques, initiated polyphony and joined two women's ensembles. She participated twice in the competition for the Eurovision of minority languages, in 2008 alongside Jacques Culioli (who was the winner of this edition) and in 2012 with the group Dopu Cena. Diana is not only a singer, she is a brilliant literature student and this will lead her to the universities of Dublin, Seville and Quebec in the framework of the Erasmus program, until obtaining a Master of Literary Studies. When she leaves the university, her enthusiasm and her naturalness open the doors to the TV sets, and it is just as naturally that her curiosity and her sense of observation leads her to a training of journalist validated by a diploma of The ESJ of Lille. The repertoire, largely written and composed by herself, puts into music the light of past days, childish joys and inconsolable pains. Surrounded by six musicians arriving from various horizons with whom she co-signs all the arrangements of the disc, she proposes creations that travel from the traditional to the folk, allowing themselves also some incursions in the rock. Feli et Canta u Populu Corsu : Un single inédit pour célébrer leur amitié et l'amour pour leur terre! They write on their website: "The purpose of our association is to create a group of Corsican songs to perpetuate the traditions, to live our language; what is important to us and to show that despite all the Corsican youth always mobilizes today for cultural projects." I Camini groupe de jeunes artistes en Corse. Chanteurs batteur guitaristes , tous la même passion la musique ce groupe à pour but aussi de faire vivre notre langue corse. I Camini unioni passioni amori . 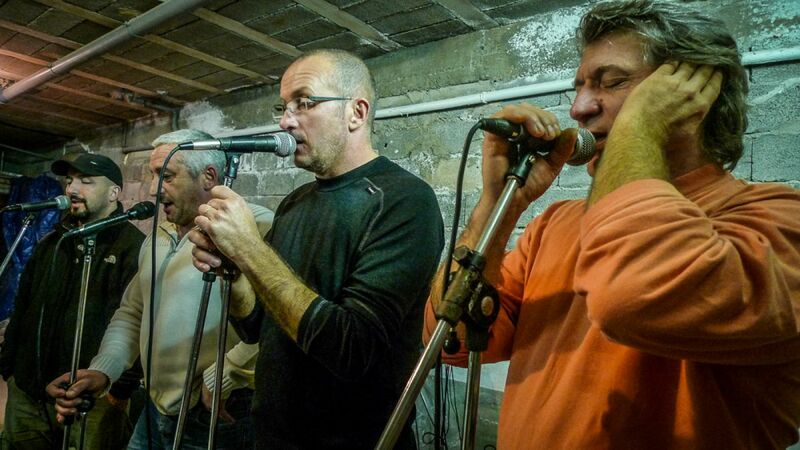 Created in 1989, the group I Campagnoli is composed of autodidact singers and musicians of the Nebbiu and Bastia area. They use ancient instruments like the "pivana" or the "cialamella". 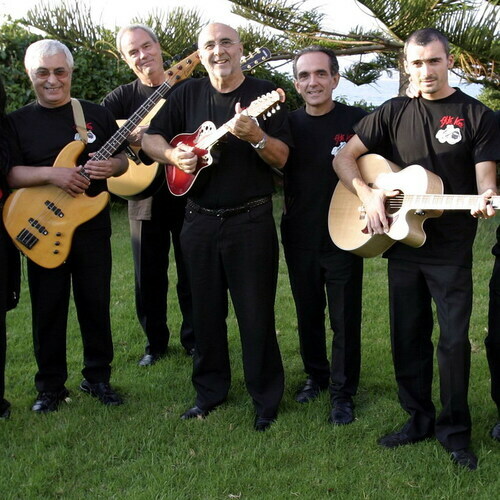 I Chjami Aghjalesi is one of the oldest Corsican groups, they were born in 1977! 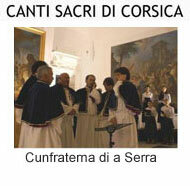 Since years they are the representatives of the renewal of the Corsican culture. 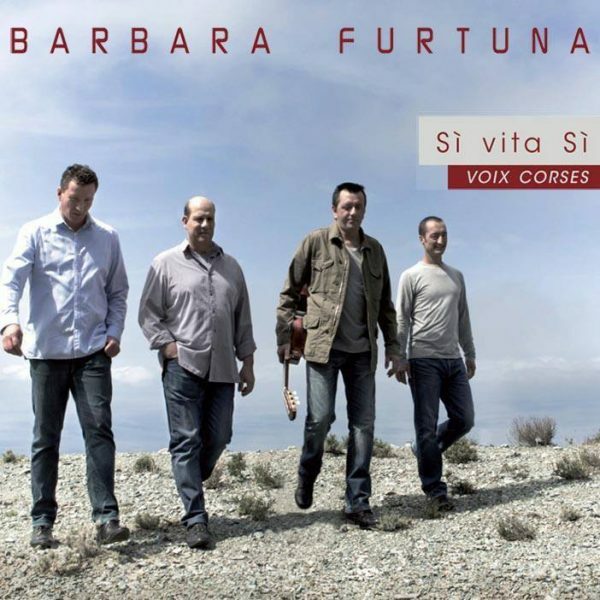 Latest album "I vintincinqui baroni" retraces 20 years of songs of this group. New CD: "Canti per u presepiu". I Mantini "I Muvrini sont riches"
Two men from Bastia (Daniel Vincensini and José Oliva), with an eclectique repertoire they evoke the aspects of daily life on the island. 1996 ! 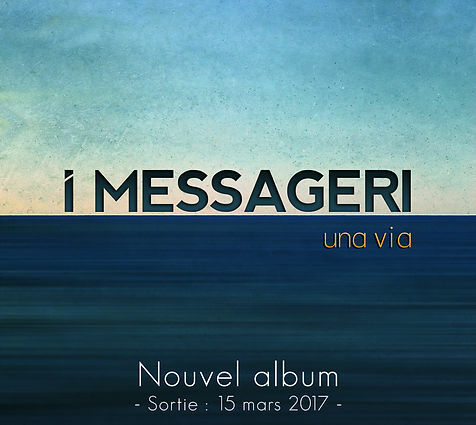 Creation of the group "I Messageri". Fabrice and Jean-Michel Andreani, two brothers from Cap Corse and Fium'Orbu in Haute-Corse. 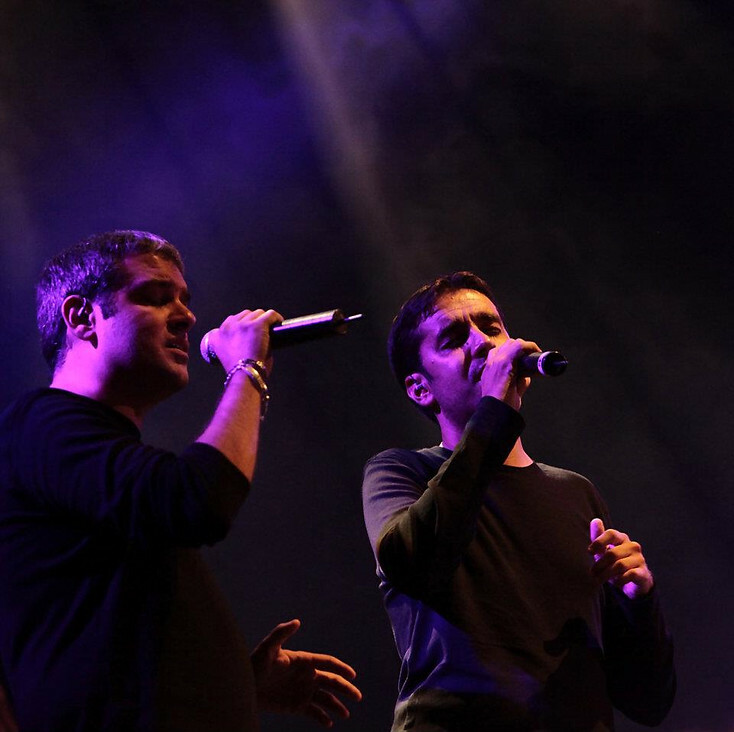 They are barely 13 and 16 years when they find themselves at a stage facing 1500 people in Ajaccio for the "concours de la chanson corse" with one of their own creations. True autodidact, they were able to conquer the hearts of the public. Antoine Léonardi, manager of Studio Ricordu, offers them their first recording contract for their very first album. In two months, the group "I Messageri" was born. In 2001, they produce a new album titled "D'isule esiliati". In 2005, A mio lettera was released. 2011, the album "Pè fà la campà"
2017, Una Via was released 15 March 2017. 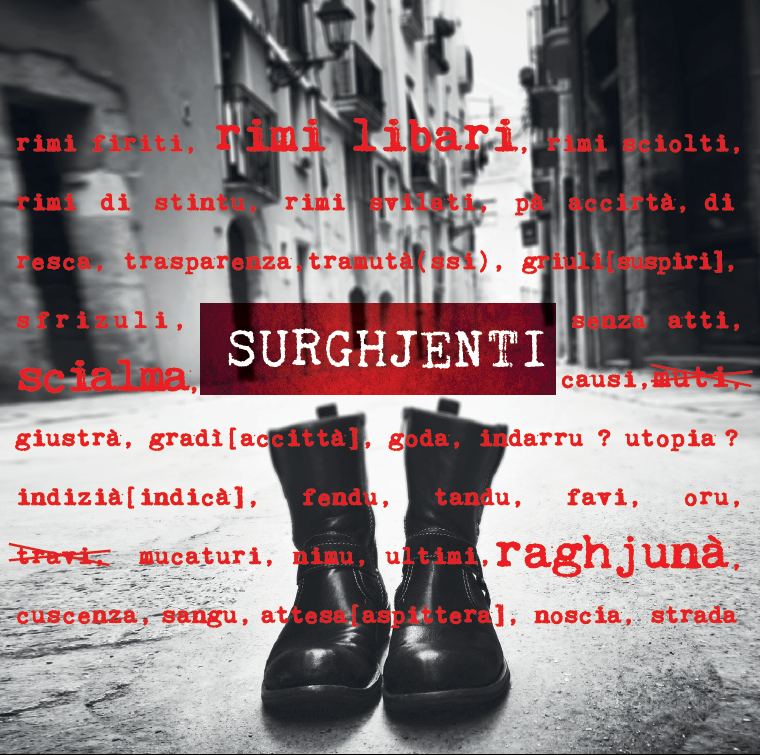 Rooted in the 'extreme sud' I Surghjenti was created in 1979; four singers and three musicians. The vocal maturity of this group plonges you in the depth of emotion. The group Isulatine was born in 1998. These young women are united by their passion of singing and music. 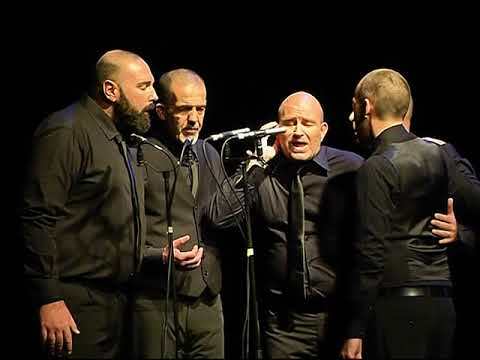 They have chosen to sing 'a capella' and more and more in the Corsican language. Les Découvertes du Chanson du Printemps de Bourges 2005. Elisabeth Andreani, Maryline Pietrucci, Antoinette d’Angeli and Pascale Landolfini. Elle était l'une des grandes voix insulaires. Jacky Micaelli est décédée le 16 septembre 2017 à l'âge de 62 ans, des suites d'une longue maladie. Jacky Micaelli avait entamé sa carrière d'interprète dans les années 80, et son talent l'a conduite à se produire sur les plus grandes scènes internationales, la Fenice de Venise ou la Scala de Milan. Elle a aussi effectué plusieurs grandes tournées au Japon. "La tradition ce n’est pas uniquement ce qui a existé jadis et qu’il faut conserver tel quel. C’est un héritage, un legs à recueillir, assumer, conserver mais aussi entretenir et faire fructifier en le renouvelant", disait-elle. Born August 13, 1969 in Bastia, Ghjuvan Carlu studied literature at the University of Corsica Pascal Paoli. He is currently Professor of Modern Letters at the College of Portivechju. Skilled in Corsican language, he is responsible for bilingual classes. Member of the assocciu Arapa with friends Don Mathieu and Jacques Santini Culioli with whom they are in church acoustics and an extravaganza of a mix of their own creations and an anthology of Corsican song. In 2009 he recorded the album "In cantu". New CD " d'Umani"
Jean-Marc Ceccaldi was born in Paris, but at age 25 he settles in Ajaccio. At the very young age of 10 years he wins his first singing competition. During the 70s he discovered hard rock, in the '80s he discovered the songs of the 'Riacquistu'. In 1985, he did the first part of the concert of Antoine Ciosi at l'Olympia with his interpretation of « Resistenza ». In 2014 he joins the group Passione, the repertoire consists mainly of polyphonic creations. CD's:after winning the "Leccia d'oru",the big competition of Corsican songs, he recorded his first album (1990) 'A lingua d'inde noi', followed by 'Da l'altru latu di u sonniu' (1991). In 1994 'Culori' was released. In 1997 for SC Bastia 'Forza turchini'. 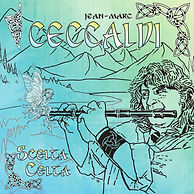 The latest CD "Scelta celta", 10 songs with Celtic tunes! les éditions Ricordu est désormais disponible. Un père originaire de Venaco, une mère de Santa Maria Figaniella, Ghjuvan Paulu Poletti réunit le nord et le sud de la Corse. S'il naít à Ajaccio en 1949, c'est à Bastia qu’il apprend la musique avec Vincent Orsini avant de se perfectionner aux Scholi Cantarum de Florence et de Sienne. Le classique et le chant lyrique sont à la base de son éducation. Grâce à un travail de recherche et de composition, cet auteur, compositeur, interprète va lutter sans relâche contre la situation d'acculturation de la Corse et jouer un rôle capital dans le "RIACQUISTU" (reconquête de la culture Corse). C'est la naissance du groupe emblématique CANTA U POPULU CORSU dont il est l'un des principaux compositeurs et chanteurs, avec Petru Guelfucci et Minicale. Une aventure qui durera de 1974 à 1981, en 9 albums et de multiples concerts. La dernière création: Stabat Mater. The groupe Meridianu was born in 2003 in the Balagne. Their common passion is the 'chant polyphonique' and their willingness to go always further on their chosen path, singing the most beautiful traditional hymnes. From the olive-tree, symbol of the Balagne, with its roots firmly planted in the soil, they draw the essence of their inspiration. CD's: Un Trima Puru Piu - Nove Canzone Corse - Île pour elle", Deborah Remy & Meridianu: une rencontre entre la Culture Corse et la variété française. 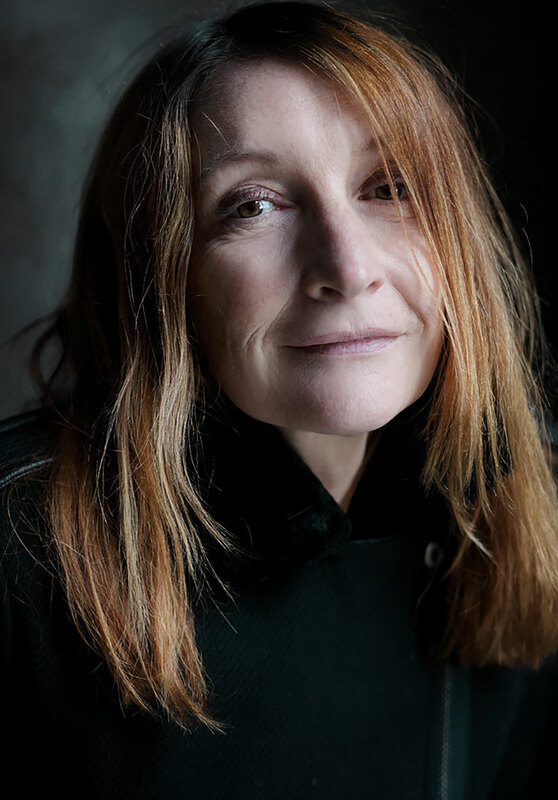 Former member of Les Nouvelles Polyphonies Corses (awarded best World Music album in France), Patrizia Gattaceca delivers a graceful new mix of pop, folk and world music, with poetics lyrics. Her albums are produced by former I Muvrini producer and guitarist, Jean-Bernard Rongiconi. Patrizia Gattaceca est une chanteuse et poète corse. Née en 1957 à Penta-Acquatella (Haute-Corse), elle a fait ses études secondaires à Bastia. Après son baccalauréat, elle poursuit ses études d'hypokhâgne puis khâgne, et décroche une maîtrise de langue et de littérature italienne à Nice. De retour dans l'île, elle obtient également un DEA de langue et culture corses à l'Université de Corte avant de devenir professeure certifiée de corse. À partir du milieu des années 1970, elle a contribué au renouveau du chant corse. Patrizia Gattaceca est la fondatrice (avec Lydia et Patrizia Poli) des Nouvelles Polyphonies Corses (1990) avec lesquelles elle a obtenu en 1992 une Victoire de la musique, catégorie meilleur album de musique traditionnelle. Elle est connue du grand public pour avoir chanté lors de la cérémonie d'ouverture des Jeux olympiques d'Albertville cette même année.Son album solo "Di Filetta e d’Amore" est paru en 2005. En novembre 2007, elle a été mise en examen pour recel de malfaiteurs en relation avec une entreprise terroriste dans le cadre de l'enquête sur la cavale d'Yvan Colonna. Elle aurait hébergé à deux reprises Yvan Colonna quand ce dernier était en fuite, une première fois six semaines au cours de l'étè 2002 et une seconde fois trois semaines à la fin 2002 et au début 2003. Son deuxième album solo "Meziornu" est sorti en décembre 2008. Benedettu Sarocchi, singer, has build around him an ensemble (vocal and instrumental) that offers a repertoire of exceptionnal authenticity. This formation, who uses original instruments like the 'cetera', gives you instrumental pieces as well as the polyphonic chant. The warm voices of Tavagna, singing right from the heart the chants sacrés, the traditional corsican songs, chants de la mémoire. Tavagna has released a new polyphonic album with the title "Messa Corsa, per i tempi novi". This album has 11 titles and is now available. Repertoire in essence chants sacrées which they have rediscovered. This formation goes deep into the traditions of the polyphony corse. Ancient polyphonic songs from the Nebbiu, by the a cappella ensemble Tempvs Fvgit, the revelation of the Calvi Polyphony Festival of 2002. ZAMBALLARANA was born in 1997 under the impulse of singers and musicians from different musical view, old friends or new ones incorporate in the warmful circle of the «Casa Musicale» of Pigna. ZAMBALLARANA has an international experience (France, Hungary, Italy, Austria,), sharing them ideas in a burst of merrymaking... and most of all of feast ! 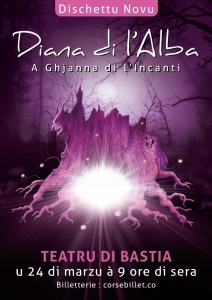 "LUNA" has been recorded in the Auditorium of Pigna. One of the songs "U serenade di scapinu", ancient text in the Corsican language, was written by Salvatore Viale in 1890. Nicolas Debelle - Bass guitar; Laurent Barbolosi Singer , violonist; Jérôme Casalonga voice second, bass , culombu; Jacques Nobili Trombone; Anton Giulo Galeandro accordion; Vincent Geraldi Drums, balafon. E più belle voce di Còrsica sur la scène du théâtre de Bastia en avril 2006 l'occasion du concert anniversaire des 40 ans d'Arritti. Anna, Philippe et Doria Rocchi, Jean François et Alain Bernardini, Mai Pesce, Barthelemy Amidei, Petru Santu Guelfucci, Petru Guelfucci, Paul Felix Nasica, Marie Ange Geronimi, accompagnés par Minicale et Francois Pesce . Association for the Promotion and Diffusion of Squares and other popular dances of Corsica.